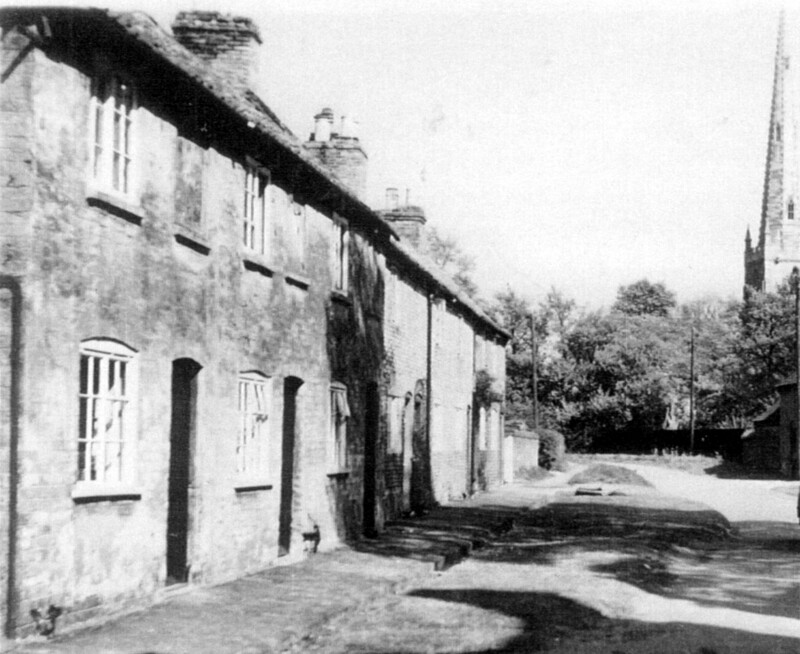 Thomas Rawdin was born in 1873, the oldest son of Thomas and Sarah Rawdin of The Green, Bottesford. 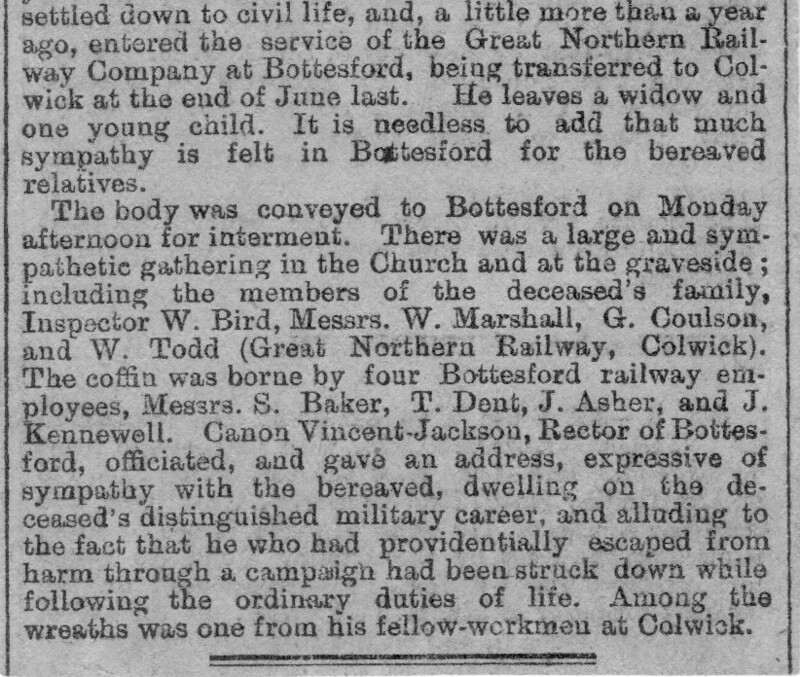 In 1891 he was working as a porter for the GNR, lodging at the Cat & Fiddle, Dale Abbey, Derbyshire. 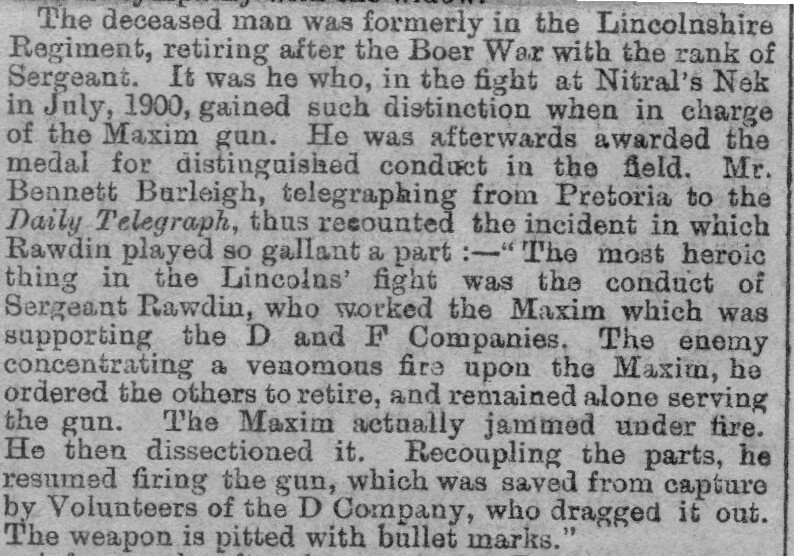 He enlisted with the army and fought in the South African Wars: Sergeant 3999, 2nd Battalion, Lincolnshire Regiment. 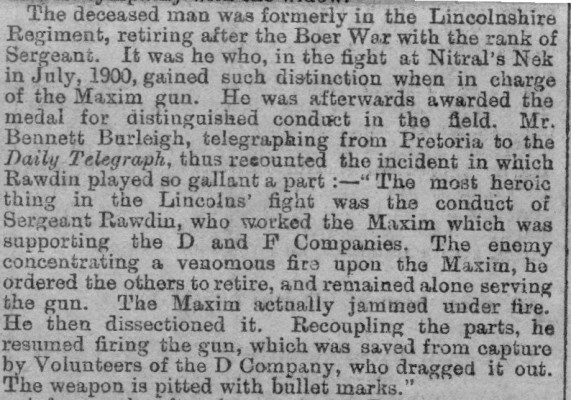 He became well known for his valiant defence single handed using a Maxim Gun at Nitral’s Nek, Transvaal, for which he was awarded the DCM on the 27th September, 1901, having been Mentioned in Despatches on the 10th of that month. 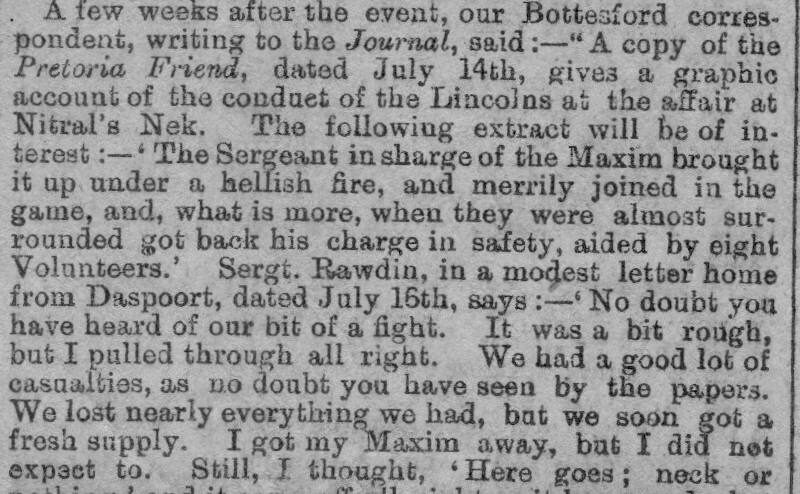 After returning from the war and leaving the army, he went back to railway work with the GNR. 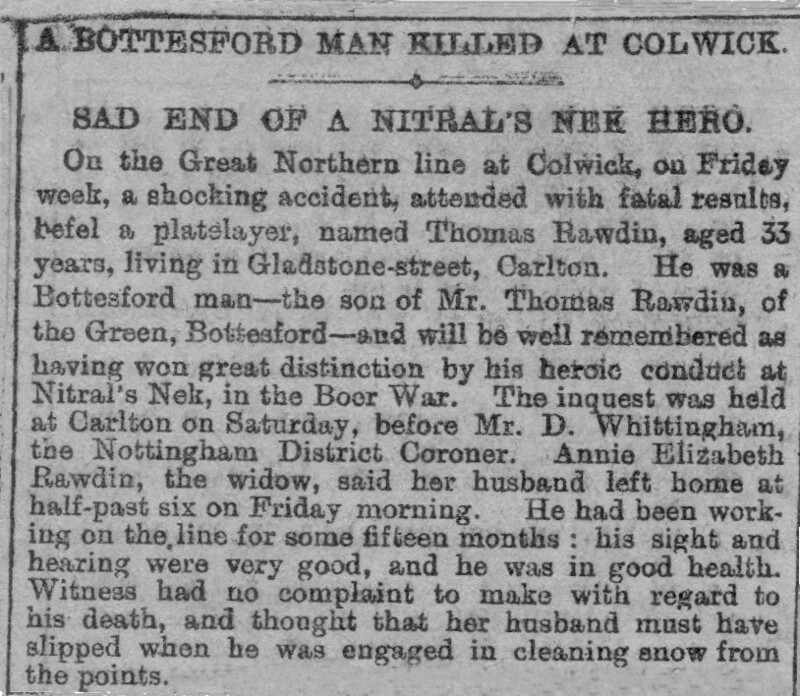 In 1904, he married Annie Eliza Boddy in Nottingham. Their son Thomas Cecil Rawdin was born on the 15th April 1905 in Bottesford. 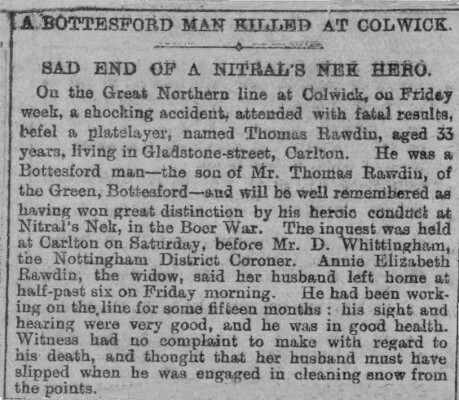 Tragically, he was killed when run over by a train in snowy weather at Colwick, Nottingham, on Thursday, 8th February, 1906. 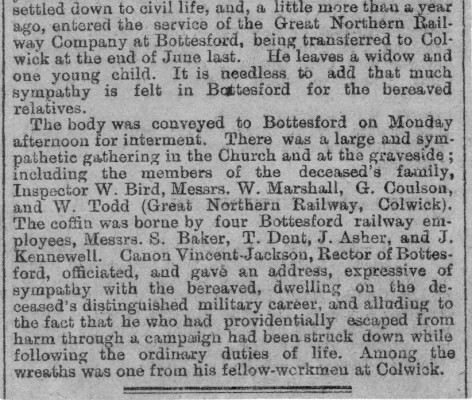 He was buried on the 12th February 1906 at Bottesford, aged 33, leaving a wife and two children. 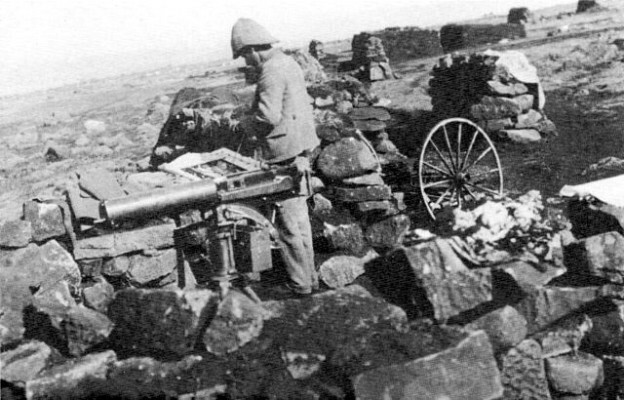 Thomas was the first of six sons of the family to join the army. Five served in the First World War, four becoming sergeants, the other a private. 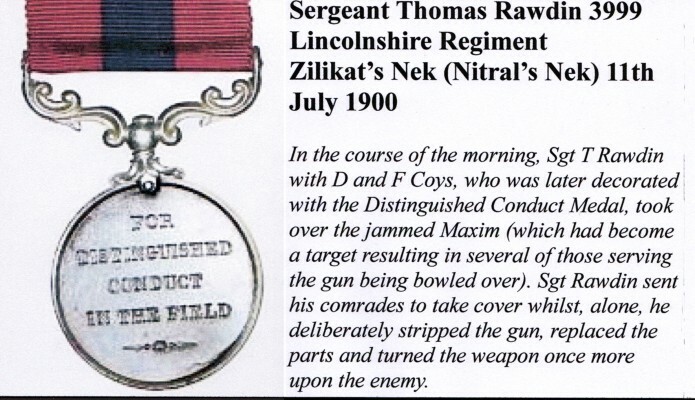 Wow loved reading this about my great great grandfather and I’m proud to say we have this medal; it was left to me and my brother when my dad died- another Thomas Rawdin. 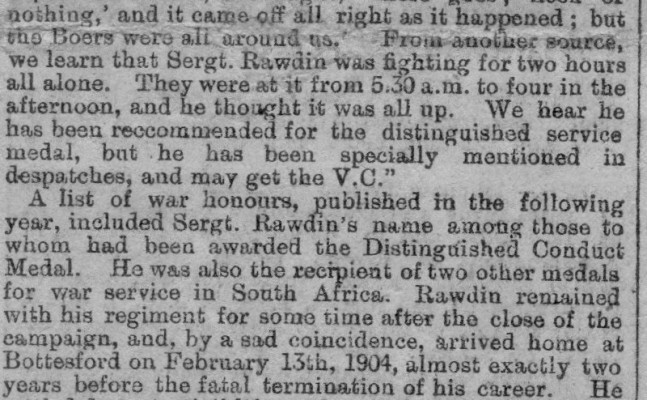 My great great grandfather and we have his medals which were left to my brother and I when my father – another Thomas Rawdin – passed away. 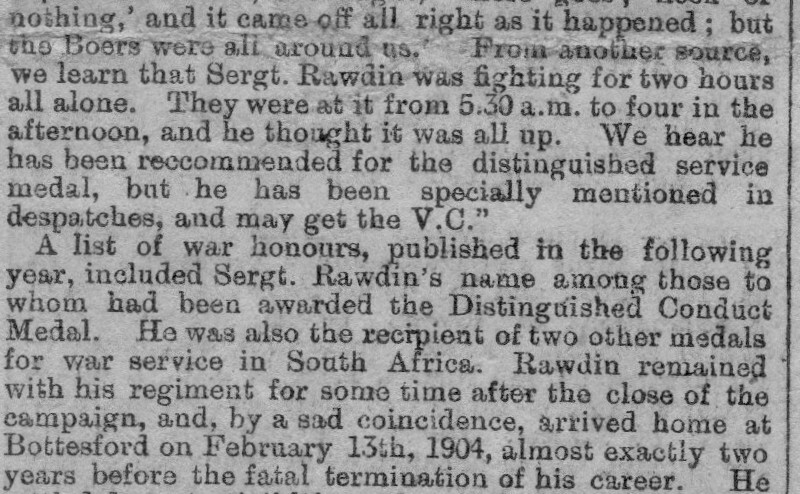 My grandfather was Thomas Rawdins brother, Frank Rawdin.